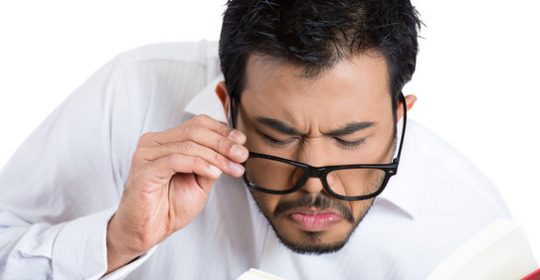 Typically induced by age-related deficiencies, presbyopia is basically a natural loss of near distance vision that causes difficulty in reading and performing regular routine tasks among the patients. However, there are a number of advanced surgical procedures that can effectively treat the problem of presbyopia and produce instant and lasting results. Here are a few presbyopia surgeries that are regularly performed on patients around the world, helping them get rid of their reading glasses. Often regarded as the most advanced surgical procedure for presbyopia, laser correction surgery with iLASIK is a minimally invasive procedure that is employed for restoring the natural shape of the front clear surface of the eye using excimer laser. There are multiple approaches including the monovision LASIK, Multifocal LASIK, and IntraCor that can be employed for correcting presbyopic vision via laser energy. Another relatively new technique for presbyopia correction is the incorporation of corneal inlays or implants for improving near distance vision among patients. In this surgery, an artificial implant is inlaid within the cornea of the affected eye by creating a small pocket-like space with the help of femtosecond laser. The surgery can be performed within 15 to 20 minutes and requires negligible downtime as well. Also, if the patient is unable to achieve the desired results, the implants can be consecutively replaced with a different type or quality of the lens. Patients can also get their presbyopic vision corrected with the help of refractive lens exchange or RLE that involves replacement of the natural lenses with an artificial IOL or intraocular lens which is quite similar to the one used in cataract surgery. The only major difference in the ReLEx and the cataract surgery is that while the latter is performed only when the natural lens has become entirely cloudy dueto the affliction of cataract, the former is carried out when the lens is still clear. Often known simply as Near Vision CK or CK, Conductive Keratoplasty is another minimally invasive procedure extensively employed for the correction of presbyopia. The technique employs radio frequency energy or RF to re-shape the corneal tissue and provide the patient with improved vision without eyeglasses. The first ever presbyopia correction procedure to have acquired an approval from the FDA, the CK is largely a monovision technique in which only one eye is operated for nearsightedness, while the other remains as is. This surgery is hardly ever performed anymore because the effects were not long-lasting.